Even a single second of downtime at your business can cause a ripple effect that sees operations become unhinged. While most Business Continuity Plans (BCPs) take into account longer power outages, short ones can be just as dangerous to your company. 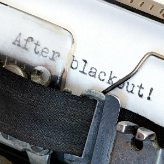 It is important that you and your employees be prepared should a power outage strike. We’ve prepared some information to help you do just that.